This is how the Apple Watch Series 4 can reportedly help spot problems, such as atrial fibrillation where the heart quivers or beats faster. As of early 2019, here’s several devices on the market and their capabilities. Garnering the most publicity, Apple’s watch unveiled in late 2018 is promoted by the company for its ability to perform an Electrocardiogram (ECG), detect atrial fibrillation (afib) and recognize when a heart rate is too slow. Apple literature notes that the watch it is not for people already diagnosed with afib. Nor can detect heart attacks or strokes. Utilizing optical heart rate sensors, this well-known fitness tracker is exploring its use to collect data and detect afib. To capture reliable readings, the company says a person must be stationary or asleep. Only available in China, this wrist wearable claims to be able to monitor the user’s heart rate rhythm and send an alert if it senses an arrhythmia. As with all these devices, Huami’s requires FDA approval before it can go on sale in the United States. 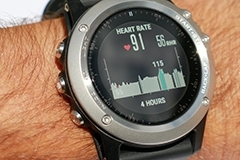 This less than $300 device claims not only to detect heart rate anomalies and alert the wearer but also notify emergency contacts and pinpoint the location via GPS if the wearer doesn’t respond. First, if you are contemplating one of these or another wearable to help you spot cardiac issues, do a lot of your own research. New developments are occurring rapidly and something better may have appeared. Look for comments from other users. Finally, if you have concerns about your heart, whether or not you are wearing one of these new watches, see a cardiologist for a full diagnosis and testing.